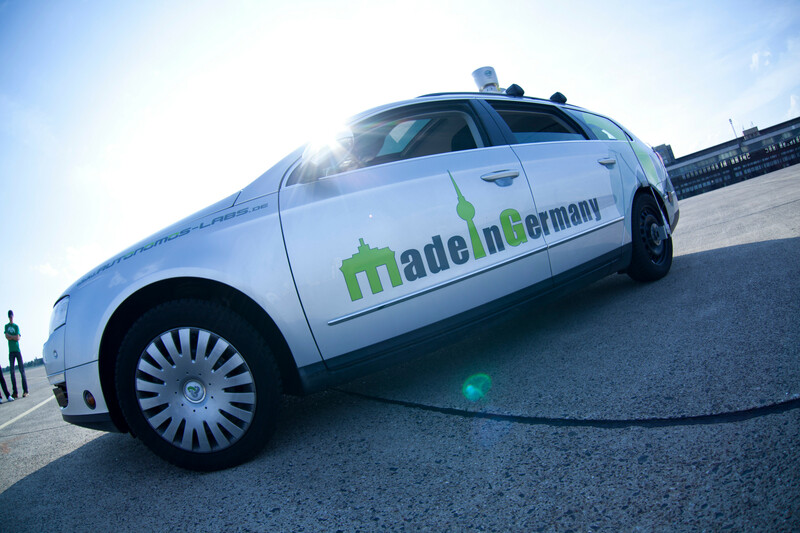 MadeInGermany is a modified Volkswagen Passat Variant 3c. 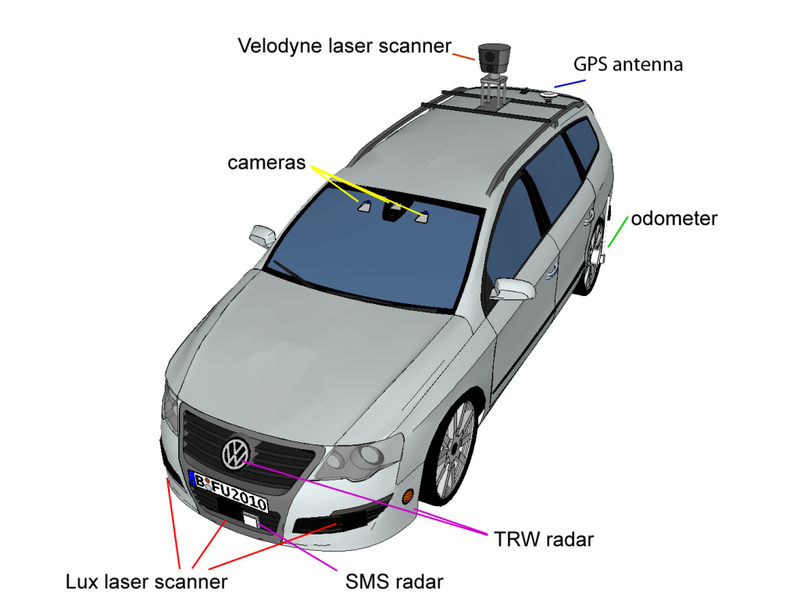 Latest LIDAR/ RADAR sensor technology, as well as cameras, help to overview its surrounding area (see sketch below for details). 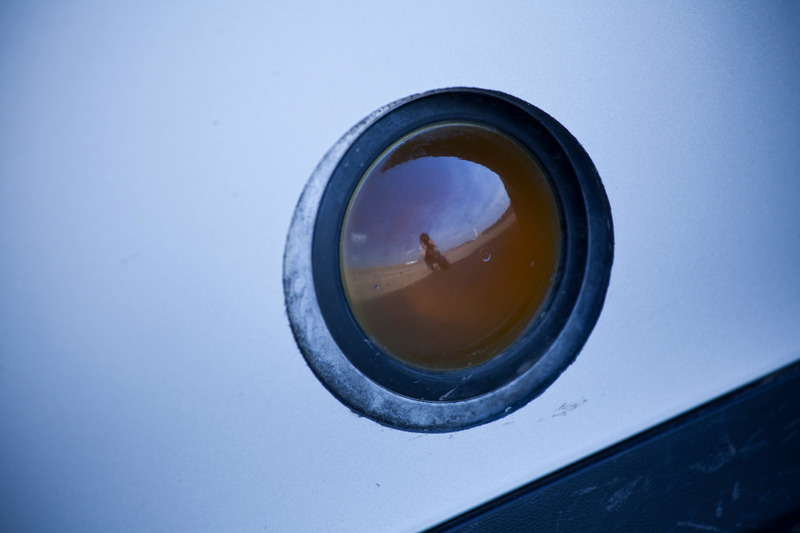 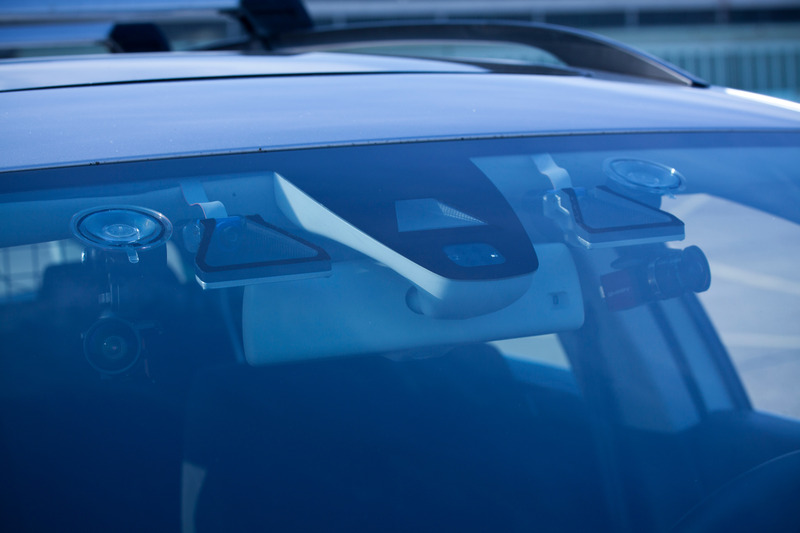 A special GPS system gives precise information about the position. 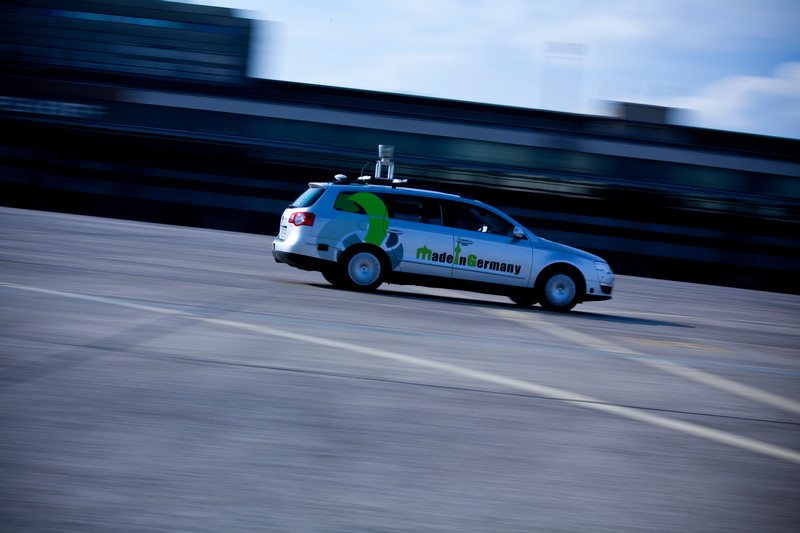 The car is also equipped with Drive-by-Wire technology, meaning that engine, brakes, steering and other actuating elements can be accessed directly via the CAN-BUS. 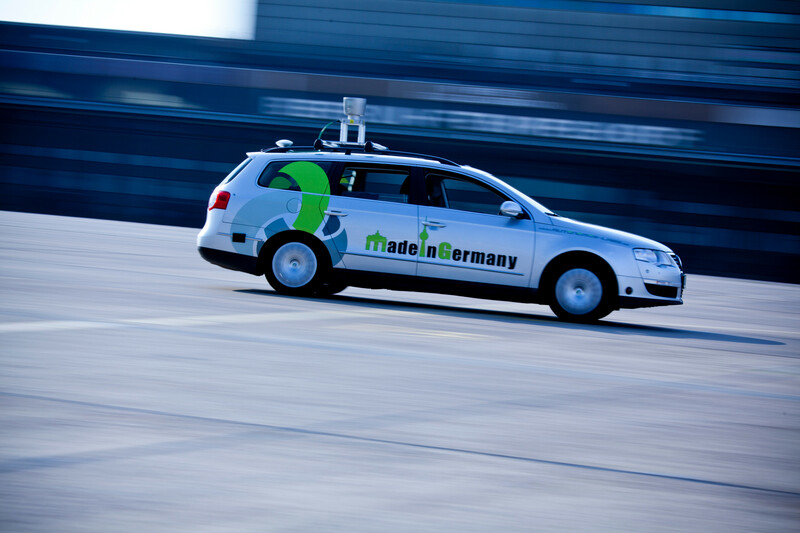 The car’s intelligence is based on software, which is implemented on computing systems located in the trunk compartment. 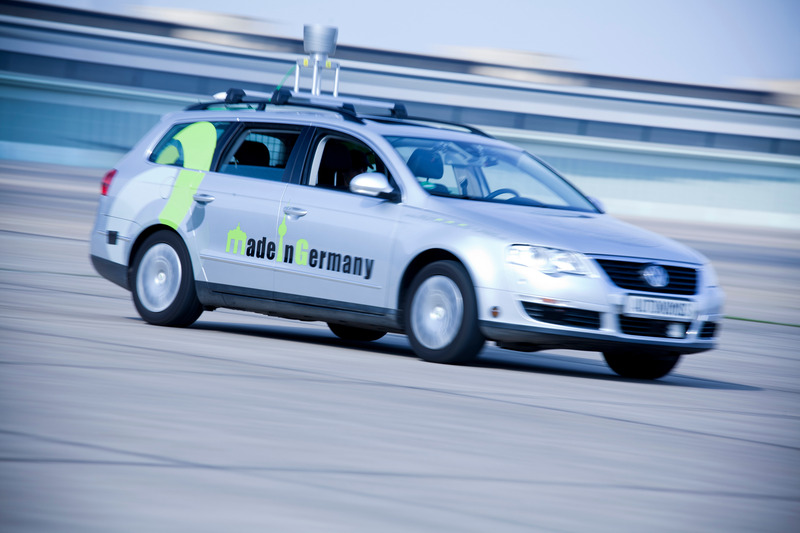 Most of the required electromechanical modifications and integration of the sensors were performed by the Volkswagen Research Garage, so that we could focus on our expertise – the software. 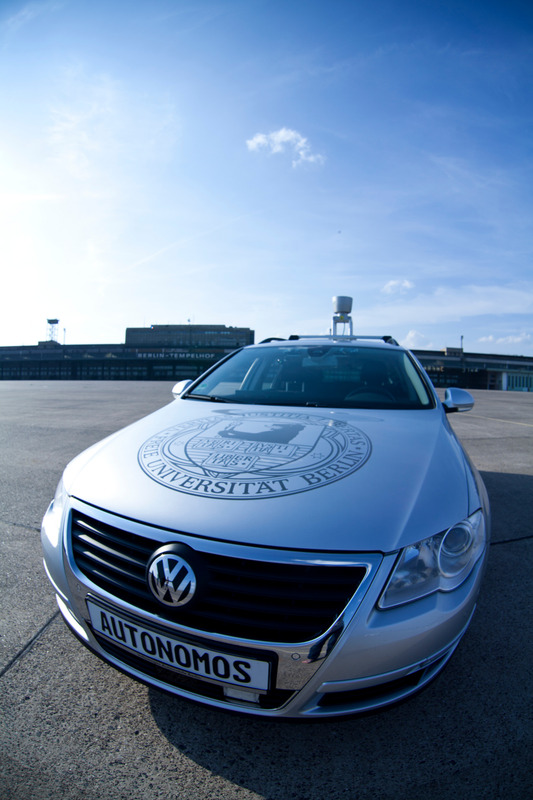 The “Operating System for intelligent cars” is one of the key research topics of the AutoNOMOS team. 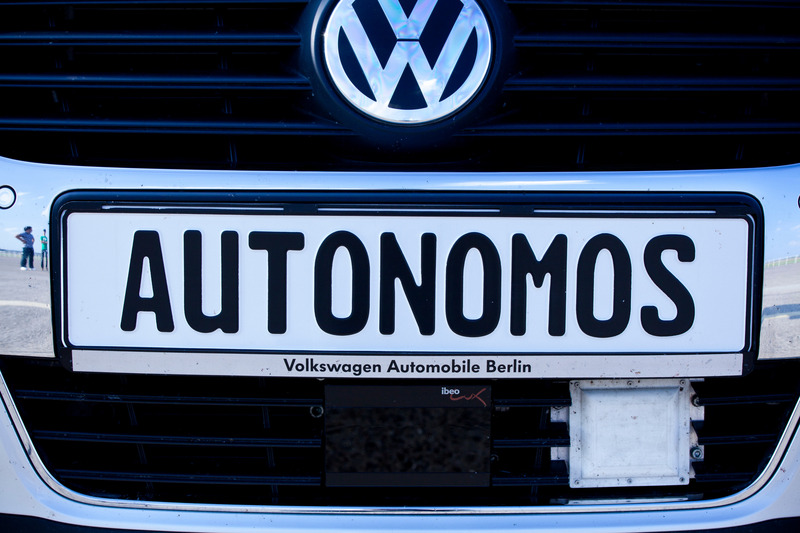 The AutoNOMOS project was funded by the German Ministry of Education and Research in the framework of the German High-Tech Strategy from 2009 until 2011. 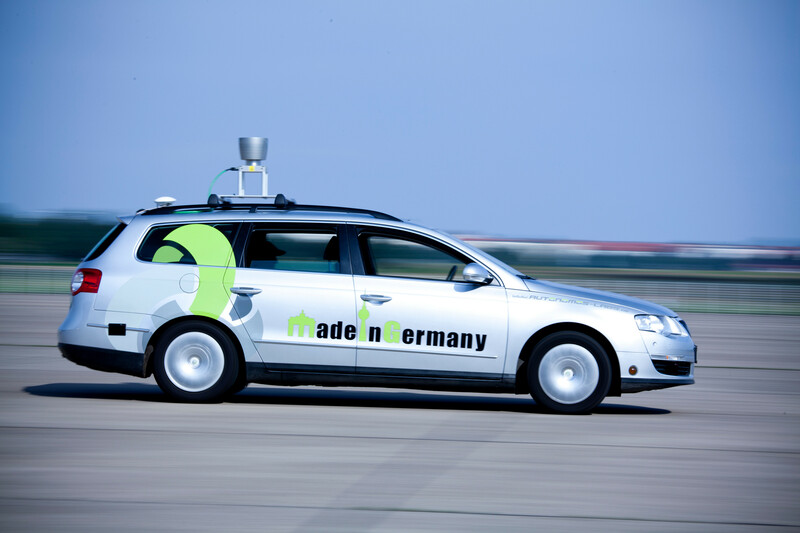 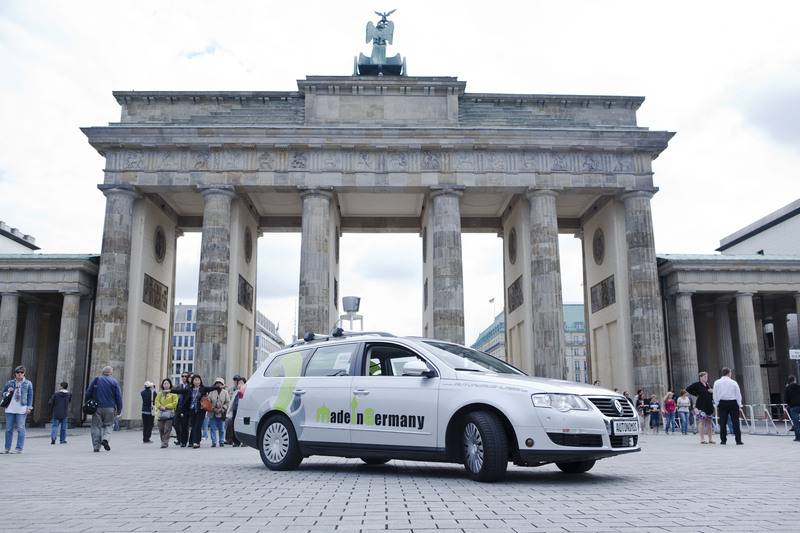 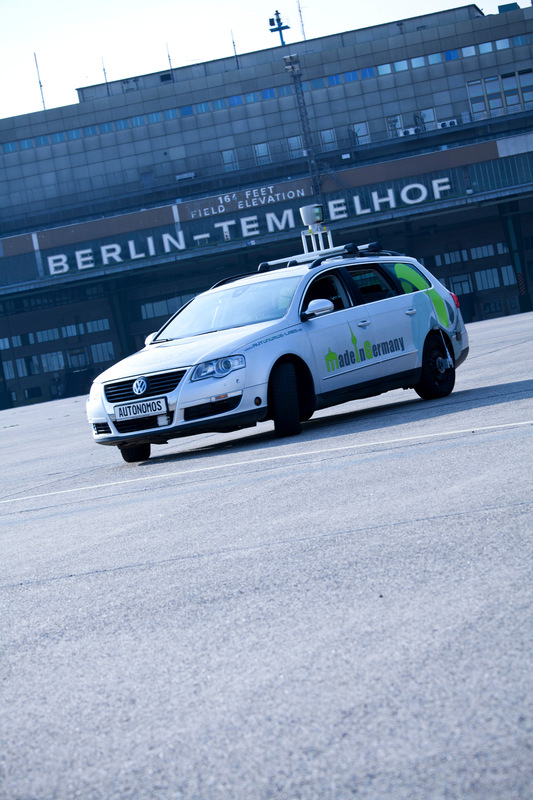 Our self-driving car in front of the Brandenburg Gate Berlin. 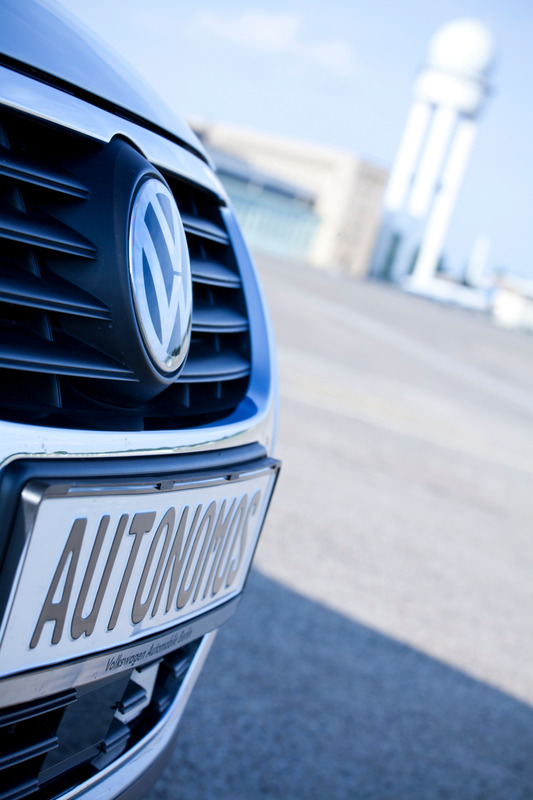 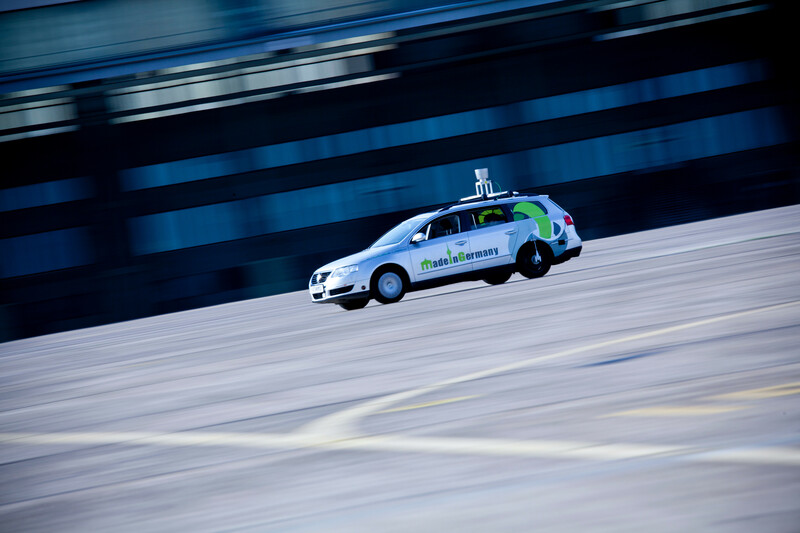 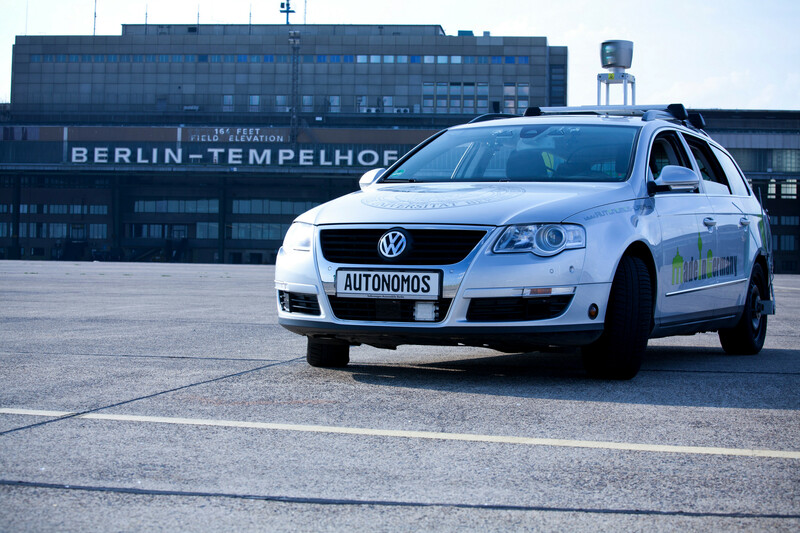 AutoNOMOS Labs received an exceptional permission to test autonomous functions in real traffic situations. 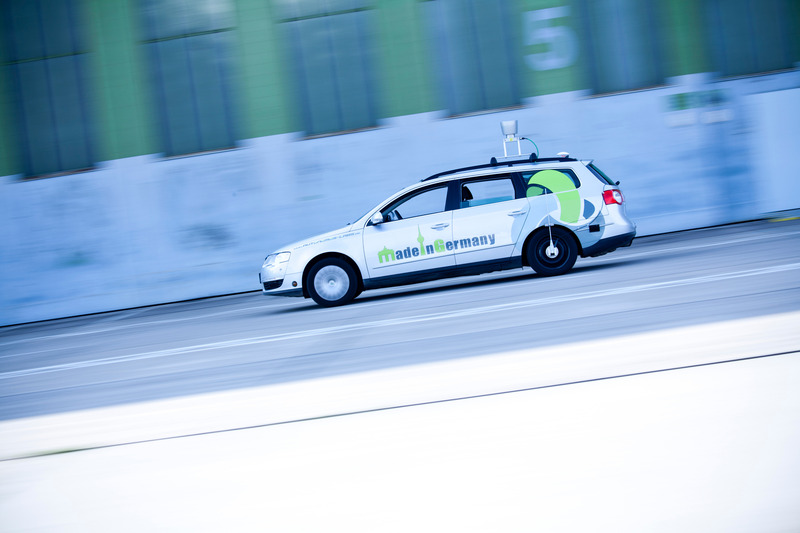 The matured safety concept which we developed with the support of TÜV NORD and our sponsor HDI Gerling Industry Insurances includes a safety driver (acting as a “driving teacher”) and a copilot who both can take control of the car in situations which seem too risky for autonomous driving. 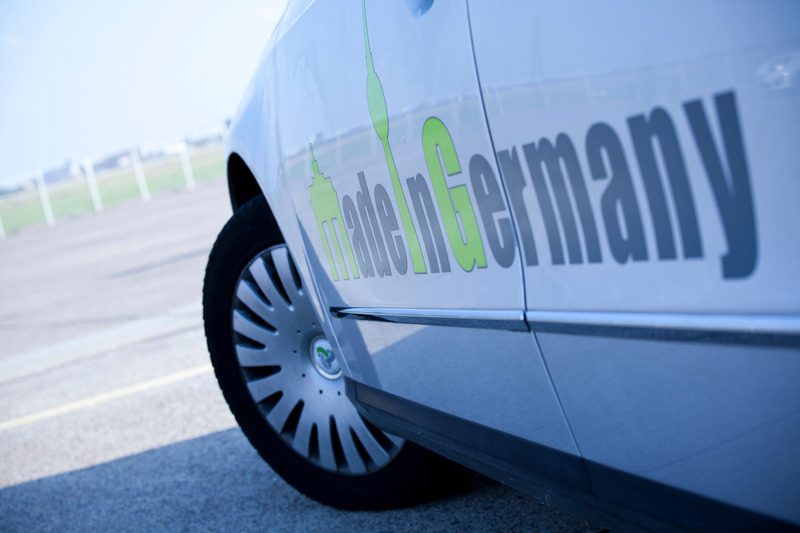 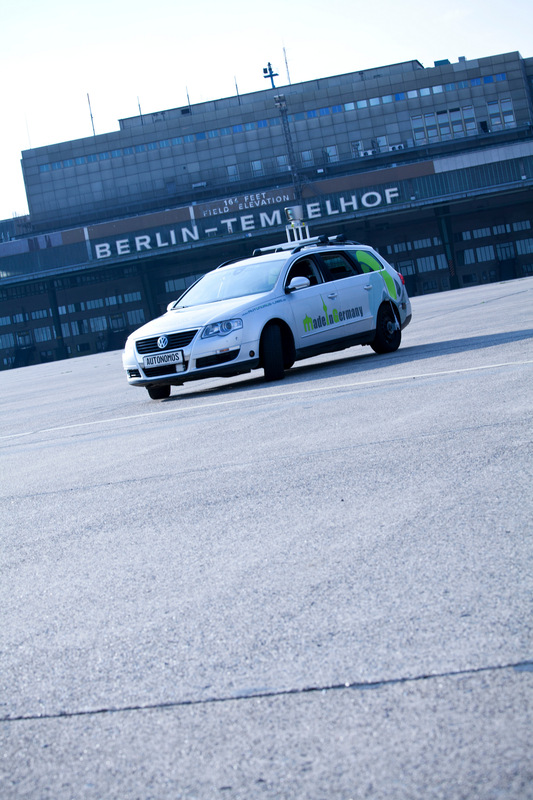 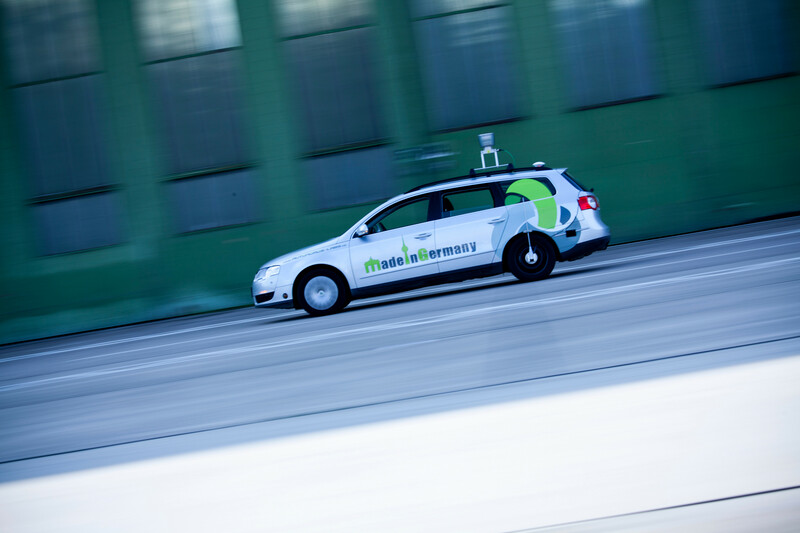 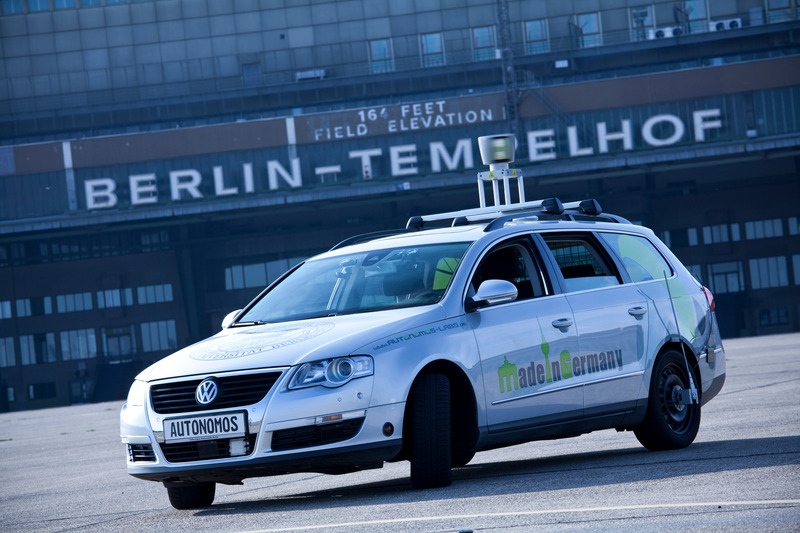 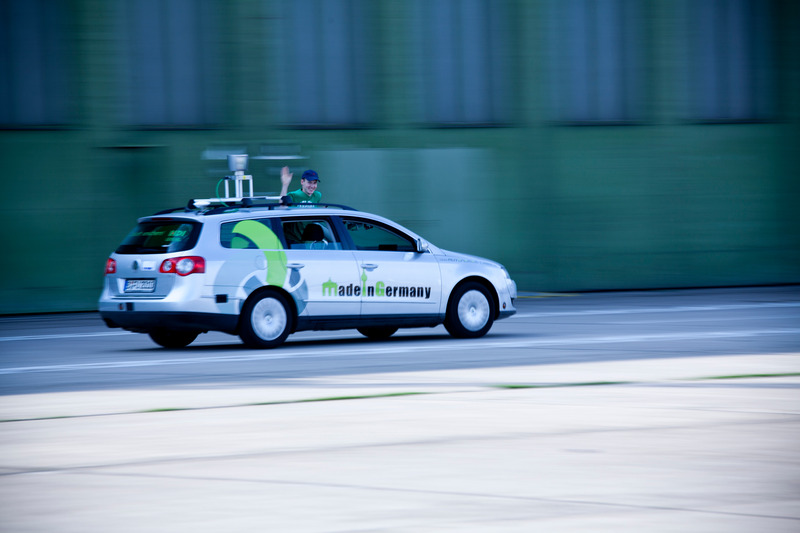 In a step-by-step process we are now going to apply the functions we have been testing on our testing grounds of Tempelhof Airport over the last 4 years to the roads of Berlin. 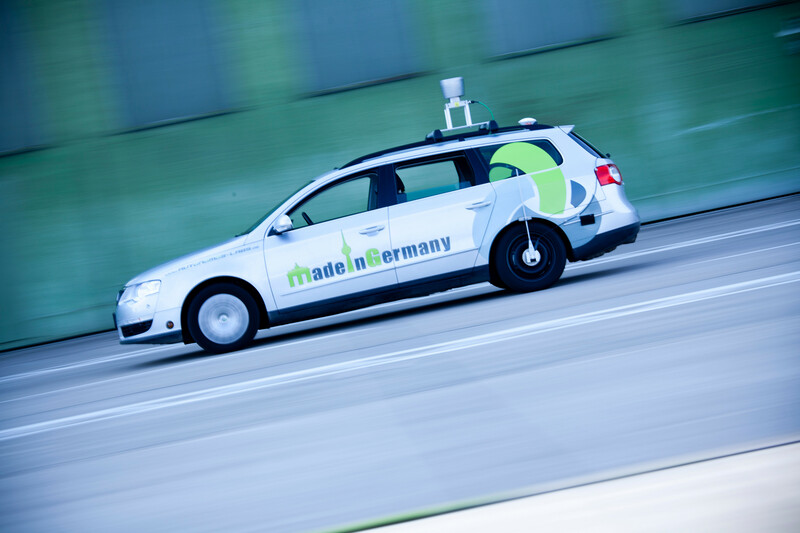 Sensor configuration of the autonomous vehicle MadeInGermany.